PORTSMOUTH, Ohio – March 8, 2013 – As the U.S. Department of Energy ushered in its brand new South Central Ohio Regional Science Bowl on Friday at Shawnee State University, it seemed fitting to members of the Zane Trace academic team that its champion would be coached by a woman in the twilight of her career. Zane Trace bested 18 other teams in a field that represented 13 schools from Jackson, Pike, Ross and Scioto counties and earned a berth in the National Science Bowl next month in Washington, D.C.
Was it ever. After morning pool play that established the seeding for the afternoon’s single-elimination tournament, Zane Trace (the fifth seed) stormed through the bracket with victories over Portsmouth West and Sciotoville East before moving into the event’s semifinals. It then defeated Lucasville Valley, avenging an earlier loss in pool play, before getting past Waverly in a final match that was decided within the final minute before an energized audience. Robertson said she believed her team would be competitive, but was overjoyed with the victory. Besides Moore, the Zane Trace team was made up of Emily Joosse, Jessica Proehl, Beau Bilek and Kasandra Dalton. DOE’s Greg Simonton, the event coordinator, said the excitement from educators, students and volunteers made the event a success. 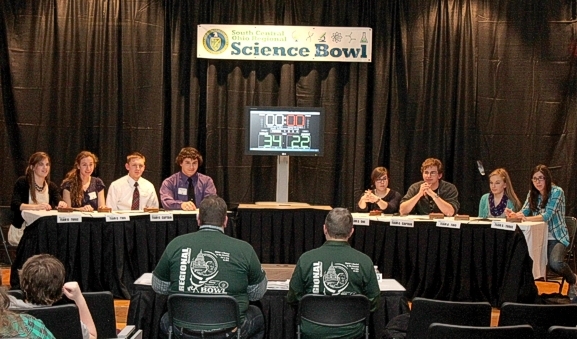 Science Bowl matches consist of two teams made up of four participants and an alternate. The teams play two eight-minute halves and answer questions related to biology, chemistry, earth and space science, energy, mathematics and physics. Waverly earned its way to the championship match with a semifinal victory over Jackson and earlier wins over Western and Northwest. Jackson, who came out of pool play seeded 16th, came alive in the single-elimination portion with a win over New Boston before an upset of the tournament’s top seed, Chillicothe. Lucasville Valley earned its way to the semifinals with victories over Portsmouth West and Paint Valley. The four semifinalists were made up of representatives from each of the four participating counties. Other schools participating included Minford and Notre Dame. DOE partners for the event included Shawnee State University, the Portsmouth Civic Forum, Fluor-B&W Portsmouth, Restoration Services, Inc., the United States Enrichment Corporation, Wastren Advantage, Inc., Babcock & Wilcox Conversion Services, Ed Holmes, Inc., and InSolves. Zane Trace now turns its attention to next month’s national event. Moore said he is uncertain what to expect. DOE created the National Science Bowl in 1991 and more than 200,000 students have participated in the competition in its 22-year history. 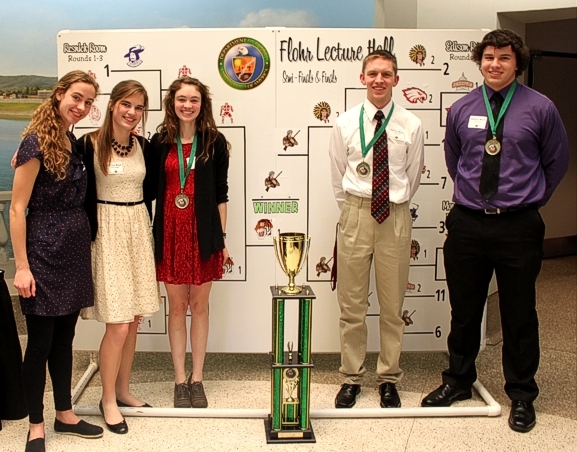 It is the nation’s largest science competition.